Currently, there are two types of pediatric disorder books available: high level technical books geared toward pediatric specialists, and self-help books for parents. The technical books cover diagnosis and treatment, while the self-help books cover general problems, are single authored, and speak little to the research of any given disorder. 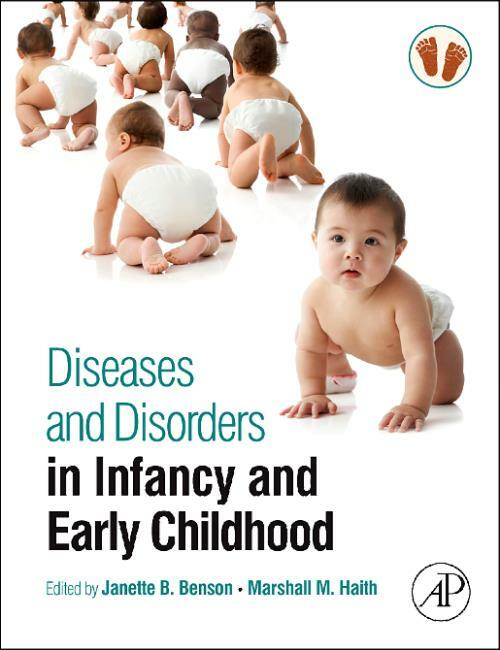 This volume consists of focused articles from the authoritative Encyclopedia of Infant and Early Childhood Development that cover the research information on common disorders in age 0-3. Topics include those most typically occurring, making them of great interest to both specialists and nonspecialists. Disorders and dysfunction of a variety of types are discussed, whether cognitive, social, emotional, or physiological. Coverage includes asthma, allergies, colic, bedwetting, diarrhea, genetic disorders, SIDS and learning disabilities, and provides an essential, affordable reference for researchers in developmental psychology, as well as allied health fields. Janette B. Benson is an Associate Professor in the Psychology Department at the University of Denver. She served for five years as the Director of the University-wide Office of Academic Assessment and co-chaired the successful University reaccreditation. Most recently she served as the Associate Dean of the Morgridge College of Education (2014-2917). Dr. Benson's expertise is in cognitive and sensorimotor development in infancy and early childhood, and her research has been funded by the National Science Foundation, the National Institutes of Health, The MacArthur Foundation and the March of Dimes. Dr. Benson has published several articles, book chapters and has edited or co-edited several books, including The Encyclopedia of Infancy and Early Childhood Development. She has been the recipient of several awards and honors, including the University of Denver Scholar - Teacher of the Year (1993), the 2000 CASE Colorado Professor of the Year, a Carnegie Scholar, a Fellow of the Association for Psychological Science, member of the Board of Directors of Shortridge Academy, and the serial editor of Advances in Child Development and Behavior.